This article written by Paul Segar and brought to you by Pureform looks at some of the basics of parlay betting. A Parlay Wager is a bet the combines a number of events together and in the process the odds can multiply to give massive returns from small amounts. This is a different kind of wager to a multi-bet which may involve more than one code in the same bet. 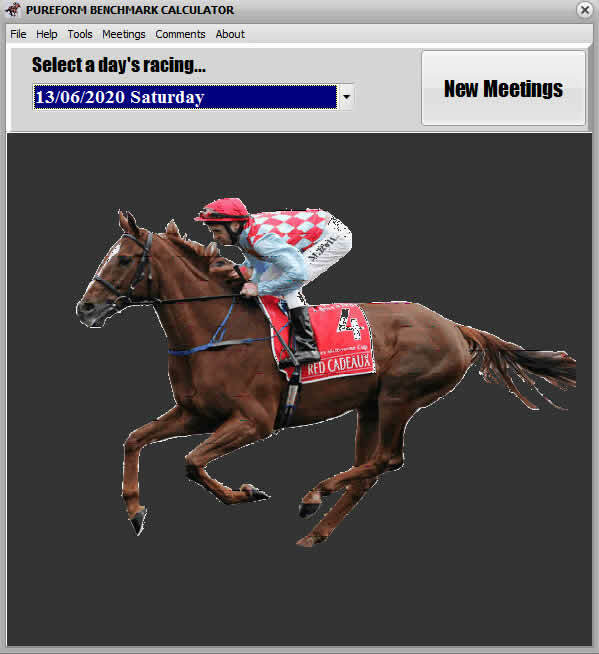 The parlay bet described in this article is run by TabCorp and allows up to 6 races at the same meeting to be combined in a variety of different scenarios. and these can be combined into a number of different racing events. One or more runners can be taken in each event for the win and place. The quinella bet requires at least 2 runners in each race. The TAB operates parlay betting which allows the punter to combine some quality wagers into an all up combination. The number and types of combinations are almost endless and limited only by your selection skills and betting expertise. It is a truly valuable betting tool for the punter looking for some form of multiple betting. Again stress the word “quality”. Rule number one, do not take random selections in parlay bets as your chances of winning are minimal simply because the odds are better. Only take your best selections and couple them together. Formula 1: No nothing to do with motor car racing, a Formula One bet is basically the same as a win, place or quinella bet. In other words do not take a Formula One bet as there is no advantage. Formula 2: The formula two bet is basically a double, whether that be a win double, place double, quinella double or any combination of the three possibilities – win, place or quinella. The formula 2 bet is a very powerful wager taken on two seperate races. Similar to formula 2 except there is an extra layer of veneer added either to the front or end of a formula 2 bet. Again, any series a combination of win or place or quinella can be taken this time on three events – magic! Formula 4: Now we are starting to cook! This time four events coupled together in any one of the previous combinations. Pick four winners (or placegetters) and you are looking at a very nice returns. Formula 5: One more event added on and big returns virtually guaranteed. Five successful bets will be a tidy return. Formula 6: This is the maximum number of events that can be coupled together and given most race meetings have eight races, this pretty much covers most of the meeting. You have three top bets. Two for the win and one for the place. The question is, what the best way to capitalise on these selections? Clearly three doubles and one treble or in TAB speak, three formula 2 and one formula 3 bet. Now the beauty of the parlay wager with the TAB is these four bets can be taken in one transaction or to use the old term on “one ticket”. So you take four bets and it will cost you $4 for a $1 unit. So a $4 outlay returns $64. No too bad. The parlay wager can be combined in any of the formats and that is the second part of the puzzle. The first part is making quality selections from the available events and then combining these selections into the best format you can take. Sure enough the best return is taking three horses for the win however that may not be the best wager. It is your job as the punter to select the best combination weighing up the chances and the likely result and the likely return. There is little point as mentioned earlier taking three horses for the win and finding they all run a place or none even run a place. Any number of runners can be combined in each of the events so you might like to take two runners in one race, three runners in another and four runners in another race or another set of combinations. Extra runners taken obviously costs more but at the same time will improve your chances of having a successful result. There is however little point outlaying a lot of money and then receiving only a meagre or no return from a huge number of combinations over 4 or more races. Just to whet your appetite a little more let’s look at an achievable wager: a five horse parlay bet taking all the formula 2,3,4 and 5 bets. Let’s price them all at $4. Total outlay $26 for a $1 unit. Flexi bet if you like. So for $26 potentially over $3000. Taking a $10 unit for $260 will return over $30,000 which is a nice return for 5 winners. 1 winner at the same time will only return nothing. The beauty of the parlay is that you get to choose your events. So the bets may be in race 1,2,4,7 and 8. The parlay bet lets you choose your races. Again take a five runner parlay wager when you have five top selections. If you only have one top selection, no parlay betting. If you have two top selections then a parlay bet may be a possibility. A running double or daily double may also be an option depending on when the races are scheduled. Clearly if you have 2 top bets in race 1 and race 8 then a parlay formula two bet is the only all up possible wager. A win and a place bet can be combined as can any other series of combinations. There is nothing wrong with coupling your two top selections with 2 or more lesser chance in a series of formula 2, 3 and 4 bets. You could take a 1 x 1 x 2 x 3 combination, that is the top pick in two races and a series of other runners in the other two races. The combinations are endless but again consider the likely prices when taking multiple runners in one leg. No point taking two runners in one leg if one of the runners is even money ($2) or less. Either take the longer priced runner(s), take the short priced pick outright or don’t include that race in the parlay wager. take the bet as required. You can simply test some ideas and see what the total will be without placing the wager. Download the Parlay Lite Calculator which shows the returns for each bet according to the prices you provide or try the parlay calculator further down this page. Select the number of races and the FORMULA(S) to calculate the total bets. Enter a stake to get the total amount required to take this parlay.